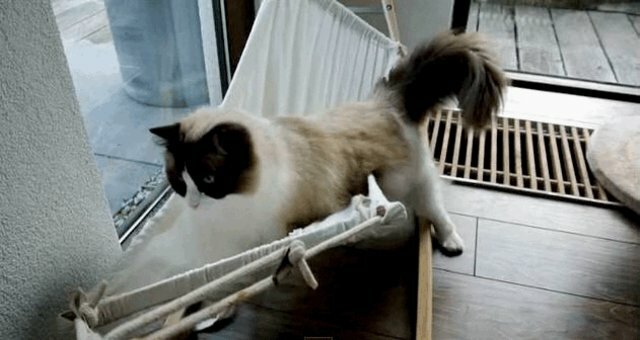 Timo the cat has had a complicated relationship with his hammock. 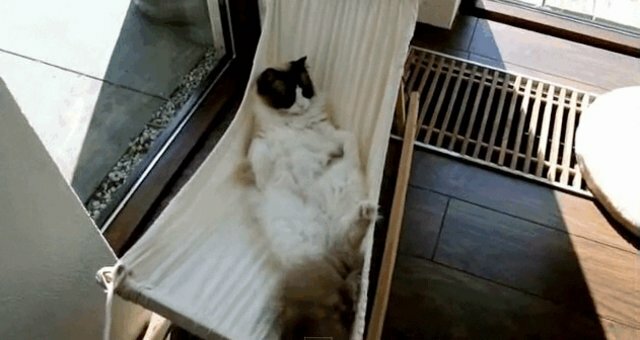 To be fair, cat plus hammock don't seem like a natural fit. To be fair, cat hammocks don't seem like a natural fit. At first, the act of balancing simply eluded him. There were many falls, many fumbles, and much frustration. 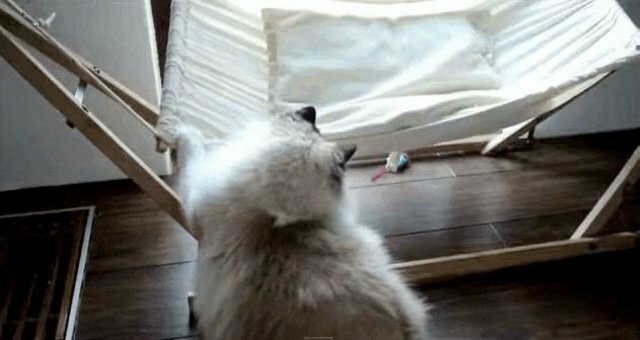 Even though, this is literally a hammock made for a cat. Now, however, he's back in action and is basically a hammock professional -- just in time for summer! Here's to you, Timo. May we all learn from your hammock expertise.